Farmhouse Treasures Building | Historic Jacksonville, Inc.
Farmhouse Treasures at 120 West California Street is located on one of the few spots in Jacksonville that was used continuously for medical related purposes for almost 140 years. G.W. Greer, “physician and surgeon,” operated an office at this site as early as 1855. By 1862, Dr. L.S. Thompson had joined Greer in dispensing drugs and medicines. 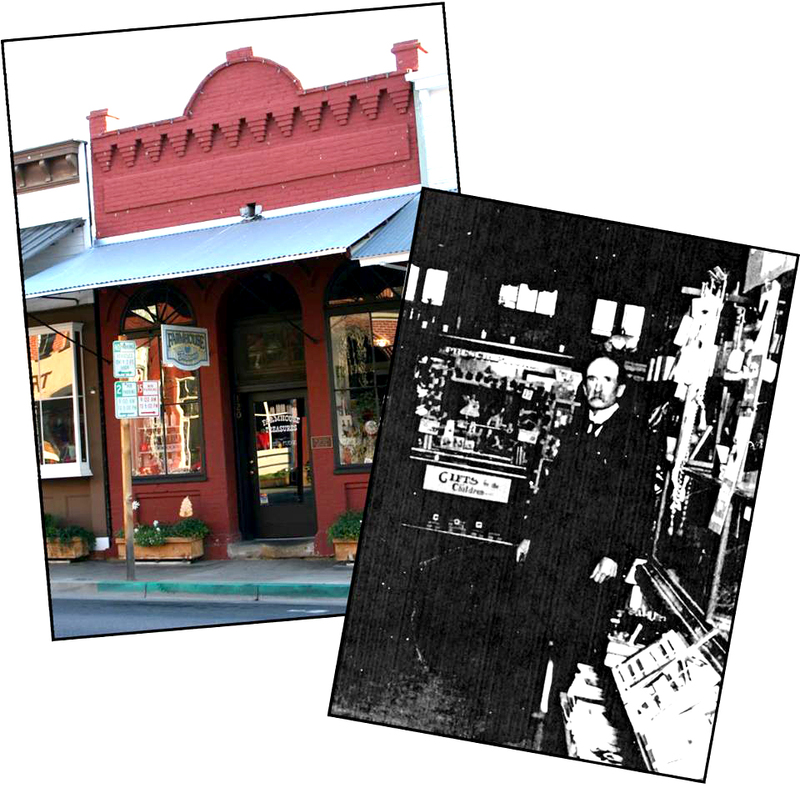 In 1868, Sutton and Stearns were carrying “everything usually found in a first class drug store.” Three years later Robert Kahler owned the City Drug Store. Kahler had the current 1-story brick building constructed in 1880, shortly after taking Dr. J.W. Robinson (shown here) into partnership. As late as the 1980s it was an osteopath’s office.